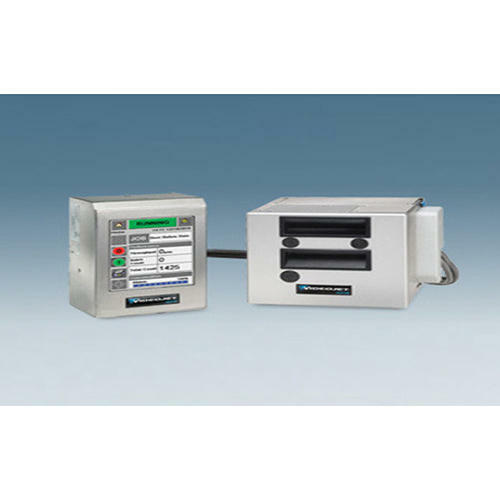 The 6210 Videojet Thermal Transfer Overprinter is a proven, cost-effective solution for users migrating to a digital solution from analog equipment like hot stamp and roller coders. It is ideal for lower speed intermittent and continuous motion flexible packaging applications primarily in the food industry. Incorporated in 1995 at Mumbai (Maharashtra), Videojet Technologies (I) Pvt. Ltd. is amongst the principal Manufacturers of finest-quality Continuous Inkjet Printers, Laser Marking Machines, Thermal Transfer Overprinters , Thermal Inkjet Printers, Large Character Printer and Label Printer and Applicators. We are a subsidiary of Danaher Corporation.We provide state-of-the-art marking and coding solutions. Our printers are used in FMCG, Food, Beverage, Cosmetics, Building, Pharma, Cement and many more verticals. We, at Videojet, place customers at the core of everything we do and strive for 100% uptime to keep our customers happy and ensure that they do not have to worry about their printing solutions. Come and experience the delight that is Videojet!